The best power plants in our industry achieve 95% availability. The best datacenters in the world achieve 99.999% availability—or better. But, how is that possible? Computers are fragile, unpredictable, and laden with software bugs right? It doesn’t matter. With the right architecture, problems are isolated and rendered irrelevant. Maintenance can be performed without shutdowns. Upgrades can take place during operation. Downtime drops from 18 days to 5 minutes per year. We need to change our assumptions about what we can achieve in our industry. Battery arrays are massively parallel and designed to expect the unexpected. When one node of an array is unavailable, either by operator choice or due to an unexpected occurrence, other nodes in the array step in to compensate. Individual nodes are monitored multiple times per second to ensure smooth and seamless operation and because a typical array has hundreds of nodes, arrays can suffer a multitude of failures without any immediate operational impact. As needs or storage technology change, this same architecture accommodates the addition of new nodes with new capabilities and integrates their operation accordingly. As a technology, lithium–ion batteries have nearly 25 years of commercial use and are approaching a half–century of research and development. It is estimated that between 2 and 3 billion dollars per year are spent on lithium–ion battery development and this is likely to increase over the next decade paralleling increasing demand for smaller, lighter and more energy dense batteries. While battery arrays can accommodate new technologies in the future, cost effective, safe, and reliable lithium–ion battery arrays are operating and available now. The batteries we select for use in Advancion are engineered specifically to meet our system requirements and pre–integrated at AES’ Battery Integration Center. Our supplier partners stand behind their batteries to protect against defects and unplanned degradation, but even the best warranties don’t mean anything if the manufacturer can’t back up their claims. Advancion uses batteries from the most reputable, experienced, and bankable manufacturers. In fact, the average 2013 revenue of battery manufacturers who are qualified to supply Advancion systems is in excess of $100B. Is storage dependable? Battery arrays are dependable by design, it’s inherent in their architecture. A massively parallel, dependable architecture. Choose Storage. 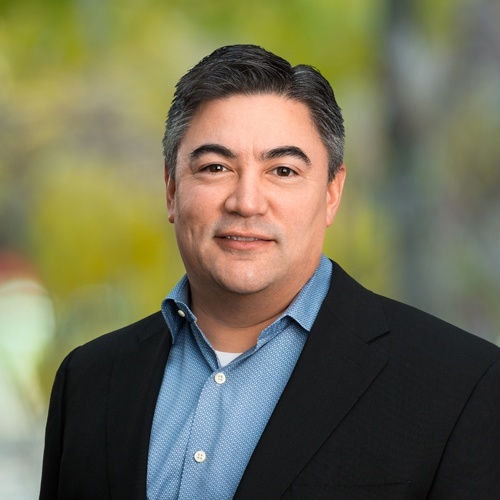 As Vice President for Customer Solutions, Brett Galura leads Fluence’s product development, delivery and services group, responsible for solution engineering, delivery, deployment and follow-on customer service offerings. Prior to joining Fluence, Brett served in a variety of capacities over 20 years’ experience with the AES Corporation, including leading AES Energy Storage’s Solutions Development team from 2010 onward, architecting and managing the deployment of multiple global information technology projects, overseeing commercial operations development in an AES retail electricity business, co-founding an AES telecom business, and directing AES’ IT operations expansion in Asia and the Middle East.